A s'more (sometimes spelled smore) is a traditional nighttime campfire treat popular in the United States and Canada, consisting of a roasted marshmallow and a layer of chocolate sandwiched between two pieces of graham cracker. Bernzomatic, the national leader in handheld blowtorches, partnered with Chef Cory Morris from Rural Society, an open-fire restaurant in Chicago, to create this unusual twist to the original s'more,and created his versions with Bernzomatic's campsite torch. Give them a try- and enjoy! Mix together butter, cinnamon and brown sugar topping. Brush brioche on both sides with cinnamon butter. Toast the bread over medium heat until golden brown on both sides. 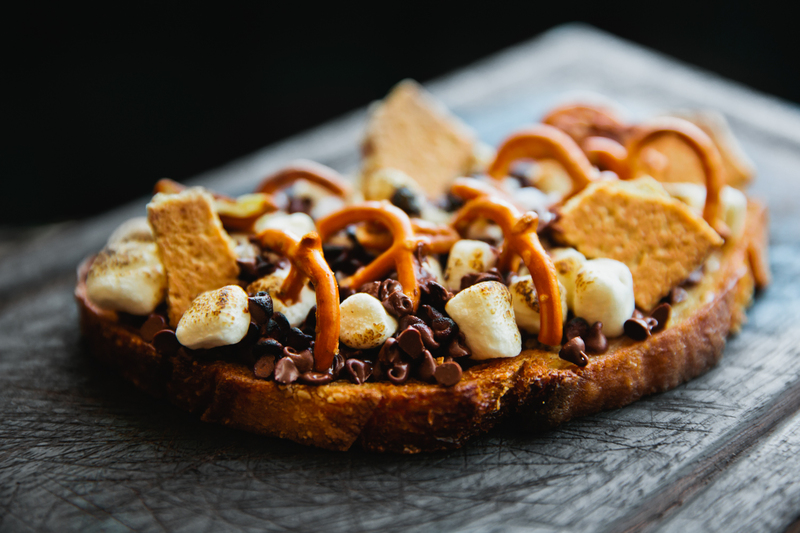 While the bread is still warm, top it with an even distribution of chocolate pieces and mini marshmallows. Make sure to cover the entire surface of the bread. 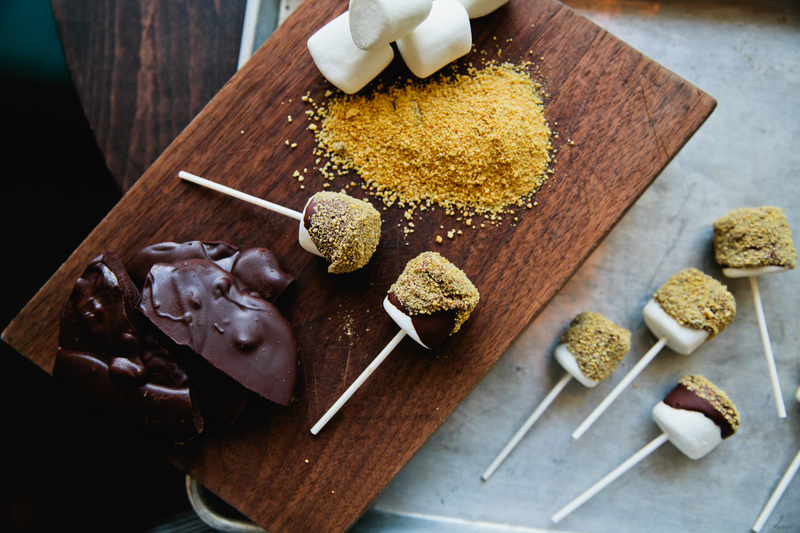 Toast the marshmallows and melt the chocolate using the Bernzomatic WT2301C Campfire Torch. While the tartine is still warm top it with pretzels, pecans and sea salt. Serve warm and enjoy. Begin by making the ganache. Place the sauce pot over medium heat on a standard camping stove using fuel from Bernzomatic 16 oz. Propane Camping Gas Cylinder and bring heavy cream to a simmer. Add the chocolate and mix until incorporated. Whisk in the whiskey, and remove from the heat. Keep warm (if it cools down too much the chocolate ganache will not coat the marshmallow). Skewer the marshmallows with the lollipop sticks. Dip them quickly in the ganache and roll them in gram cracker crumbs. Let cool at room temperature. Once the lollipops have cooled, lightly torch with the Bernzomatic WT2301C Campfire Torch (be careful not to burn the graham crackers).